The Joughin family’s roots in South Africa started in the early 1850’s with the arrival in Port Natal (Durban) of Thomas Joughin. 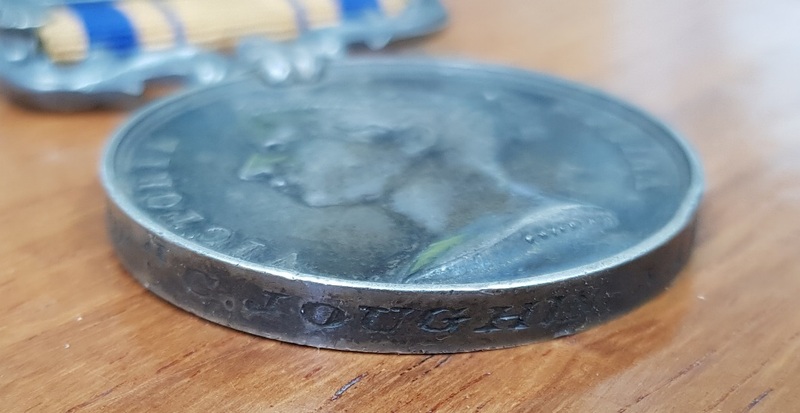 Originally from the Isle of Man, Joughin was a Stonemason by trade and, after a short while in the coastal port, headed 50 miles inland to take up residence in Church Street, Pietermaritzburg where he opened a stone mason business a few doors down from his home. His bride to be (in what was a prearranged move), Ellen Cain, sailed for South Africa in 1860 and married her sweetheart on 1 June 1861. Ere long the couple set about the making of a family and, in rapid succession six sons and a daughter saw the light of day. The eldest was John followed by Robert, William Cain, Henry, Charles (the subject of our attentions), Joseph and Elizabeth. The family prospered and soon bought land on the outskirts of town with the intention of taking up farming. Things didn’t quite work out though and the family began to fragment with some of the elder sons moving to the Orange Free State while Charles and his brother Henry became Blacksmiths working out of a forge in Church Street where they had again taken up residence. 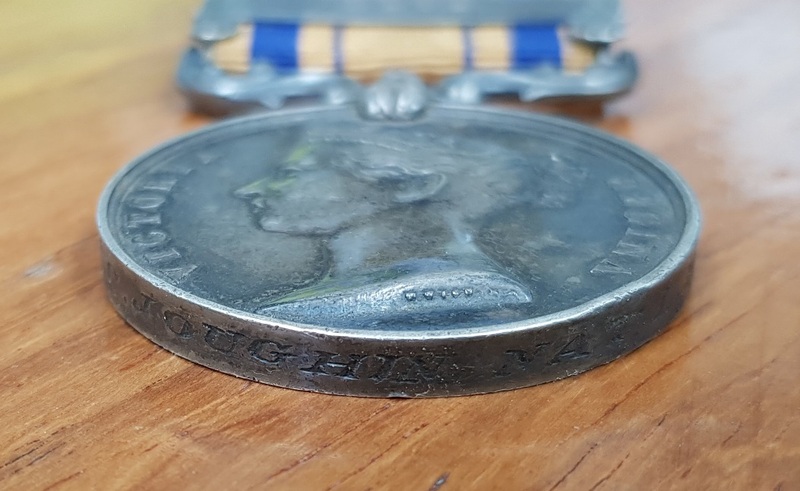 Born in about 1864 Charles was a young 15 when the Zulu War broke out in the last few months of 1878 but, most likely concealing his true age, this didn’t deter him from enlisting with the Natal Light Horse in early 1879 for service. Natal, after the debacle of Isandhlwana on 22 January 1879 and the Rorke’s Drift face-saving action a few days later, was a jittery place in which to find oneself. According to popular rumour the Zulus were literally “at the gate” of the Colony and, without much effort, were likely to cross the Buffalo River and invade the towns plundering and killing all in their path. The N.L.H. would never had been formed were it not for the fact that the recruiting efforts made to supplement the numbers of the Frontier Light Horse were too successful. During the period January- February 1879 the F.L.H. had lost a number of men Time Expired. 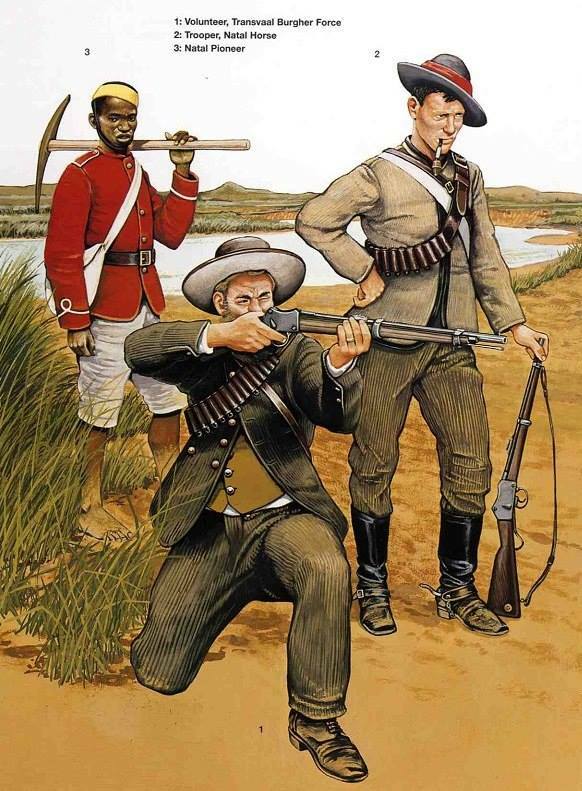 An aggressive recruiting drive in the Eastern Cape yielded better than expected results and the new recruits headed for Joughin’s home town of Pietermaritzburg before being moved up to Kambula with Wood’s Column and the Front Line. McDonald’s Maritzburg contingent were in Utrecht a month later, the intention being that these men would replace the losses incurred by the F.L.H. at Hlobane. Quite when they arrived at Wood’s Kambula camp is unknown but, on arrival, it was found that the F.L.H. were no longer in need of additional manpower and no one knew what to do with them. McDonald’s men were already being put to use doing patrol work but common sense soon prevailed and both McDonald’s and Marshall’s troops, 140 men combined, were brought together and a regiment, the Natal Light Horse, was formed under the command of Captain Watt Whalley. The N.L.H. now formed, alongside the Frontier Light Horse, part of Wood’s Flying Column which had the sole objective of taking the fight to Ulundi and the destruction of the Zulu war effort as it went along its way. The N.L.H. played a prominent part in the engagement on 5 June 1879 of which much was made in the press of the day. On the morning of 3 July parties of men fetching water were fired on with the action developing into a brisk little skirmish. 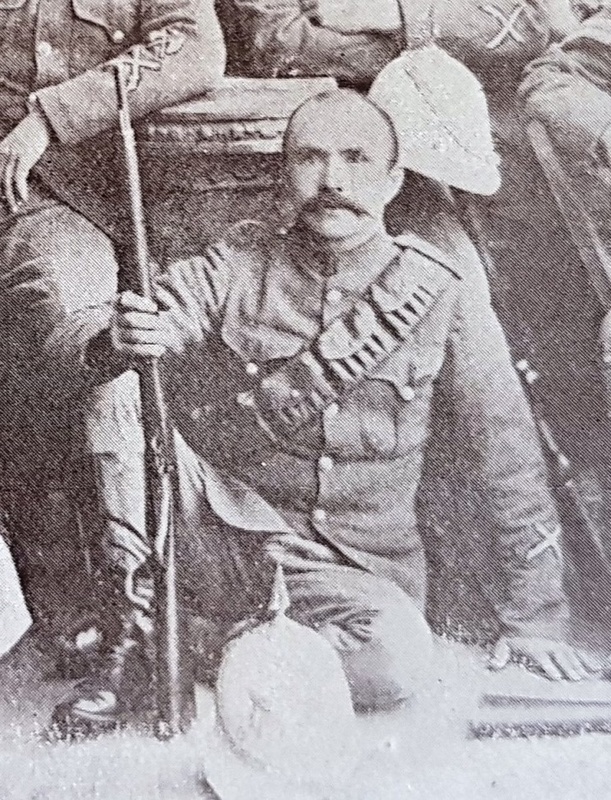 By noon of that day Chelmsford’s ultimatum to the Zulu King had not been met and he ordered Buller to take all his mounted men across the river, to clear the bluff of any snipers and to reconnoitre for a suitable location for the final battle that was to come. At lunch time Buller left camp with, among other regiments, the Natal Light Horse. Ahead of his force lay the vast Mhlabatini flats with the Royal Kraal at Ulundi a few miles away in the distance. Buller ordered his men to dismount as they went along preparatory to firing a volley into a group of herdsmen herding goats ahead. He did not realise, until it was too late, that he had been led into a trap. No sooner had the men dismounted than 3000 Zulus rose from the long grass a 100 yards away and rushed forward. Buller ordered the retreat but as his men turned hundreds of Zulus rose on either side. The retreat turned into a neck and neck race for the drift, when the last of the men were safely across the river they dismounted at the river’s edge – they had not come away unscathed – Trooper Peacock of the N.L.H., among others, lay dead in the grass. Before first light the next day all the mounted men of the Flying Column had splashed through the drift and taken up position on the Zulu side. By 8 a.m. the force had been formed into a hollow square. As the square readied itself for battle, the mounted troops moved away from it in search of the impi. The mass of Zulus sat silently until they rose and moved forward until, from all sides, the square was surrounded. The mounted men would fire, reload, circle, and fire again in the face of the oncoming masses, all the while drawing the Zulus closer to the square. The mounted men then retreated to the square and, once within, the battle proper began. 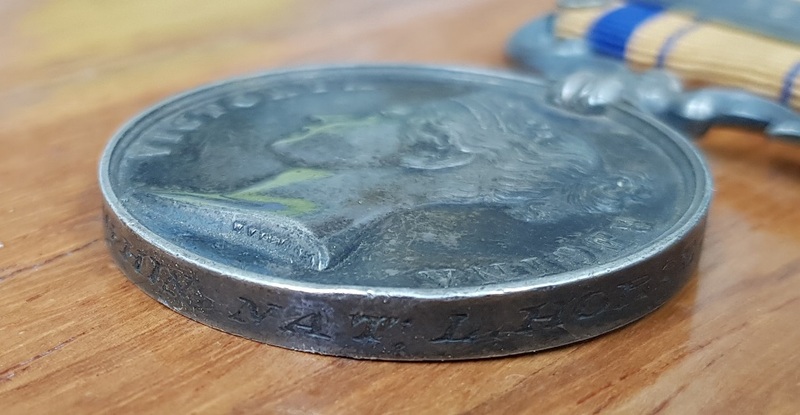 It is said that it took less than half an hour of sustained fire from the Gatling gun, the artillery and the rapid fire of the Martini Henry’s to make the Zulus halt, hesitate and break ranks leading to an all-out uncontrolled retreat. All the mounted men then burst forth from the square in pursuit of the fleeing Zulus, mowing them down as and when they encountered them. They then raced on for Ulundi and put the deserted Royal Kraal to flames. The N.L.H. lost one killed and one wounded in the Battle of Ulundi. That night was spent in camp before the march back to St. Paul’s (the principal base) was commenced. By 9 July the Zulu War was a thing of the past and the men of the Natal Light Horse went their separate ways. It is not known when they were officially disbanded. 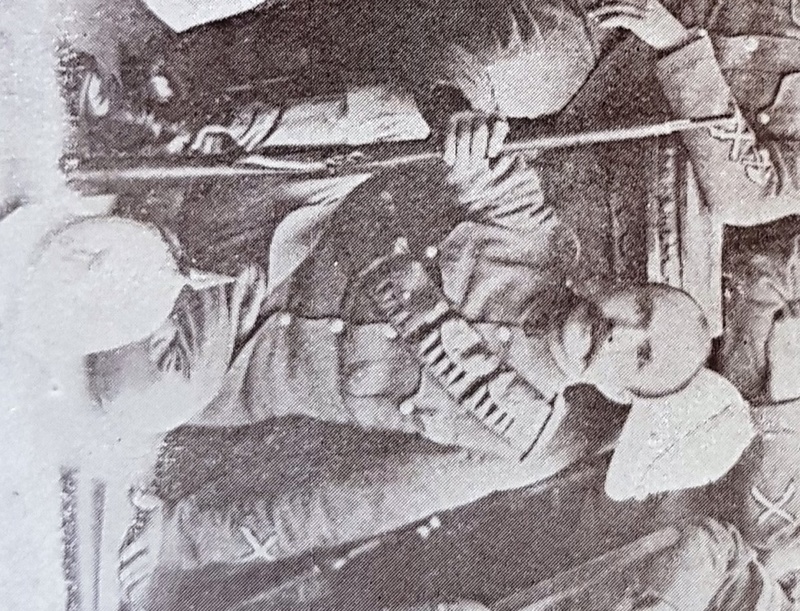 Out of uniform and the war over Joughin returned to his civilian pursuits in Pietermaritzburg. 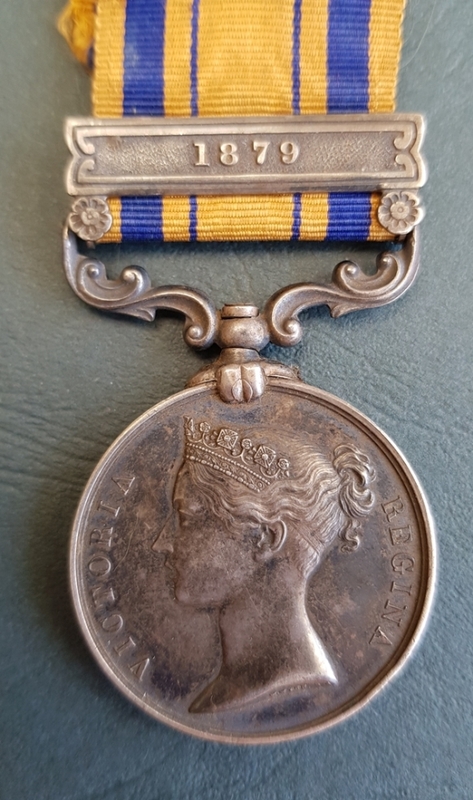 He was awarded the “Zulu” War medal with 1879 clasp for his part in the fighting. 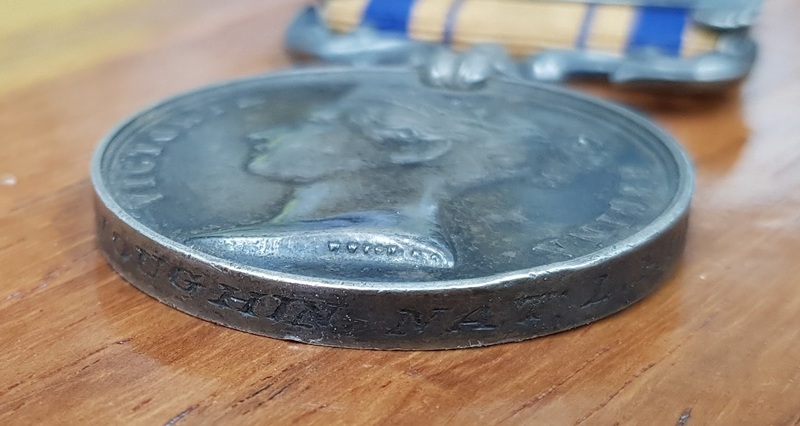 As was the wont of most men in Colonial times, he was a keen volunteer and would appear to have joined the Natal Carbineers for peace-time service. A photo wherein he appears and entitled Government Cup Team, 1895 (Winners) shows him in uniform sporting his rifle. 1897 was to be a red-letter year – according to a family history Charles and his brother Henry were both enthusiastic cyclists and were caught in freezing rain during a race. They caught colds that persisted and eventually turned into pneumonia. The Register of Deaths in the District of Pietermaritzburg carried the sad news that, on 1 April 1897 Charles Joughin, a 33 year old Blacksmith of Church Street, Pietermaritzburg passed away from Pleurisy. His death was followed a month or so later by that of brother, Henry. Their mother, no doubt devastated by this sudden loss, died a short while later.